The Immortals (from the Greek Ἀθάνατοι Athánatoi) also known as the Persian Immortals or Persian Warriors was the name given by Herodotus to an elite heavily-armed infantry unit of 10,000 soldiers in the army of the Achaemenid Empire. This force performed the dual roles of both Imperial Guard and standing army.Herodotus describes the 'Immortals' as being heavy infantry, led by Hydarnes, that were kept constantly at a strength of exactly 10,000 men. He stated that the unit's name stemmed from the custom that every killed, seriously wounded, or sick member was immediately replaced with a new one, maintaining the corps as a cohesive entity with a constant strength. Why should you be unbanned? Even though the server has been consistenyl popular in a long time, I still enjoyed playing on it. With the new update I was hoping that maybe it would start to get popular and I could play on the server again. Formally gazetted into the Army in October 1800, the 93rd were dispatched from Fort George, via Aberdeen, to Guernsey. In February 1803, they were sent to quell a brief rebellion in Dublin. During these years they moved about Ireland, becoming quite popular with the Irish people because of their Gaelic language, high discipline and firm and steady conduct. The Regiment in its history would find itself many more times in Ireland. On one occasion a section was sitting in a tavern when a local bully came in challenging them to a fight. The smallest Highlander accepted, rose, lowered his head, ran and butted the bully in the stomach, flattening him. The rest drew their bayonets, cleared the tavern then quietly went back to their conversation and drink. The 93rd sailed in July 1805 to help recapture Cape Colony from the Dutch. There the 93rd won their first battle honour. While landing 37 men were lost, still cheering madly as their boat capsized. In the ensuing battle the 93rd advanced in line, pipes playing, fired one volley and charged. The enemy broke and ran. After limited skirmishing over the next days Cape Town surrendered and the 93rd moved into Cape Castle, their home for the next eight years. In an age of great illiteracy, especially in the army, the 93rd was amazing in that nearly every man could read and write. Almost every private had his own Bible - often having been given to him by his family. In Cape Town they built their own church, hired a Chaplain, taught school and gave to charities sending huge amounts home to help those in need. A remarkable, cheerful and united body of men given to music and Highland dancing. Such was their discipline and good conduct that while in garrison with other regiments the 93rd repeatedly was dismissed from Parade when corporal punishment commenced. Instead of having to see the example given by floggings, they instead became the example of discipline. The 93rd Sutherland Highlanders works around a specific schedule of events. Although there are scheduled events every week, there will also be events which are arranged on the day such as 1v1's or 2v2's. On top of this there will also be events on other games from time to time. 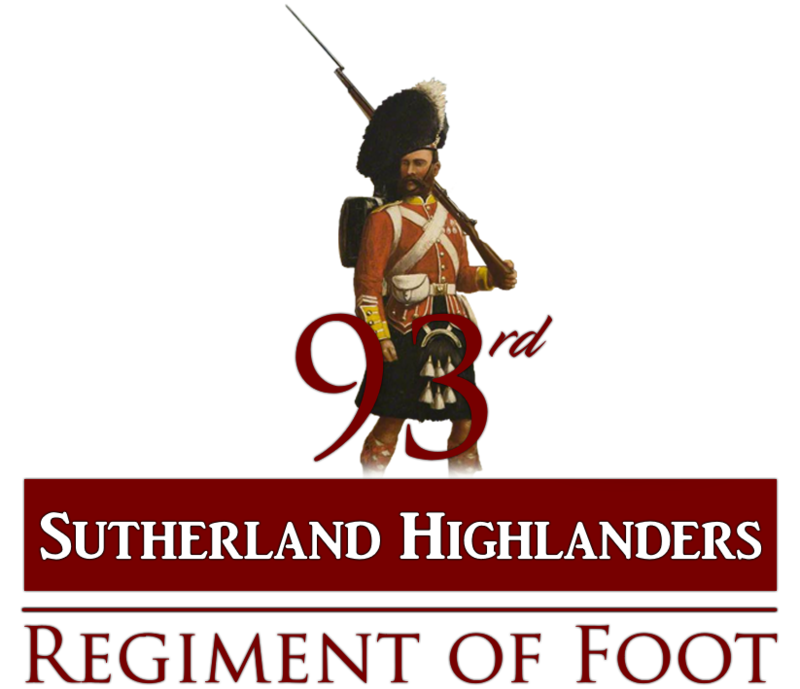 Interested in joining the 93rd Sutherland Highlanders? If so then add Captain John Sutherland on Steam!